How do you plan a budget, or arrange childcare, when you’re always on call? The retail business boils down to two metrics: time and money. Tightly clocked logistics schemes ensure that every shipment zips seamlessly between factories, ports and giant warehouses and into massive big-box retail inventories, stocked minutes before flying off the shelf and through checkout. The so-called Just In Time system ensures not a nanosecond is wasted, nor a cent in profits forgone. This drives companies to squeeze as much labor out of as few workers in as little time as possible. 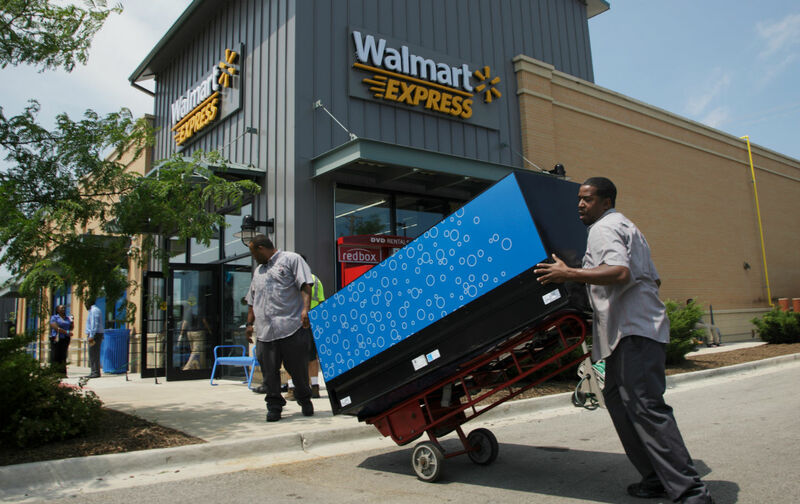 Perhaps “cost-efficiency” helps explain why half of Walmart workers are part-time. Walmart’s recent announcement of a wage hike, to $10 an hour for its lowest-paid workers, only addresses one of the problems facing their underpaid workforce: income is a function of wages and working hours, so your pay stays dismal if you don’t have a schedule that makes your job pay off. Walmart workers have been protesting about both wages and inadequate schedules, calling on the retail giant to provide more full-time positions and “commit to making scheduling more predictable and dependable. The rapid-fire retail economy drives precarious workers increasingly to work too many hours for too little, or not enough hours to survive, or they just never know how much or whether they’ll have any work. Using sophisticated scheduling technology to manipulate workers’ hours gives corporations outsized power to configure their labor flow to fit companies’ hour-to-hour needs, and workers’ lives tend to grow more precarious as schedules are whiplashed to match market fluctuations. Many retail workers are stuck in a segment of the labor force known as “involuntary part-time”: those forced to work fewer than thirty-five hours a week and who would generally otherwise work full-time, but can’t, due to a lack of available jobs. According to an analysis by the National Employment Law Project (NELP), forced part-time hits retail workers particularly hard: “9 percent of adult retail workers involuntarily worked part-time in 2014, compared with just 5 percent of all working adults.” Retail workers make up 18 percent of involuntary part-timers, but just 11 percent of working adults. Most are women, and disproportionately black and Latino women. According to the Aspen Institute, Walmart “employs nearly 10 percent of retail workers, or approximately 1 percent of the nation’s workforce,” meaning the company is probably supplying a considerable chunk of these jobs. The consequence is not just impoverishment but deepening long-term instability in workers’ family lives and crushing personal stress. As Esther Kaplan points out, low-wage workers face intense pressure to adhere to unstable schedules and to ramp up speed and productivity at the same time—no time to schedule daycare, but always on-call to take a last-minute night-shift. if spending is down, then that means less work, and vice versa. But employers like Walmart have to account for the needs of employees as much as they do the demands of their customers, since consumer spending generally is so key to propping up the US labor market. Some large companies, including Walmart and Starbucks, have vowed to reform scheduling practices to make them less volatile and more accommodating to family needs. San Francisco is innovating new labor regulations with the Retail Workers’ Bill of Rights, aimed at promoting the hiring of full-timers instead of multiple part-timers, and stabilizing jobs by preventing abrupt shift changes for part-timers and giving workers more advanced notice of their schedules. But as unionization dwindles and scheduling practices remain largely unregulated, the retail cycle keeps workers at the mercy of their bosses, and the mercilessly efficient scheduling algorithms. Meanwhile, studies suggest this is actually an extremely inefficient way to manage a workforce because it spurs high turnover. Still, when several desperate job seekers rush to fill each position left open by an overstressed worker who quit in frustration, the retail machine churns on. An extra dollar-an-hour for impoverished Walmart associates helps, but they want good jobs, equitable schedules and real control over their labor, not just higher wages. Countless workers are still forced to take whatever they can get—which is often simply whatever the boss is willing to give them.